Over years of leading tours on Buffalo’s waterfront, I heard one story that stuck in my mind. I may have heard it from a ship hand on the Edward Cotter but can’t be sure. 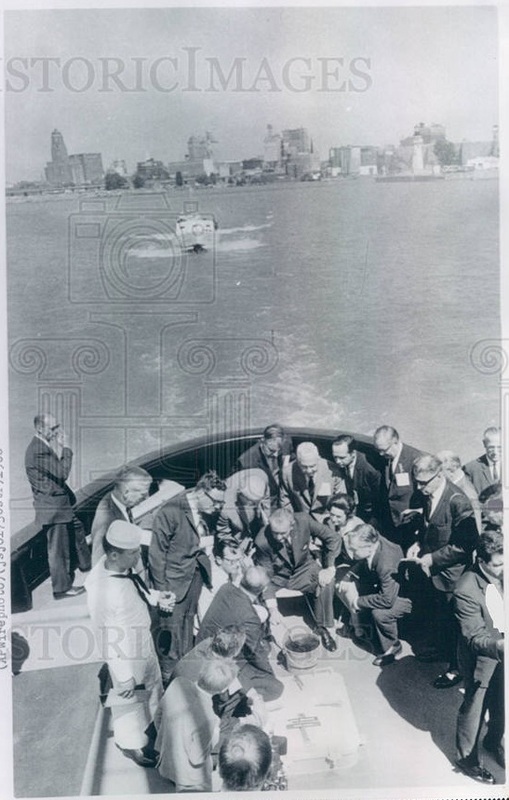 It was about how President Lyndon B. Johnson and Lady Bird visited Buffalo and at one point in the visit were taken on a boat. During the ride, someone dipped a bucket into the Buffalo River. Dumping from nearby factories made pollution so bad the river was “dead” by the 1960s; the water was devoid of life and the oxygen to support it. So when Lady Bird was asked to stir the bucket’s contents with a stick, she was unable to as it was completely full of sludge. Shortly after, LBJ signed new pollution controls into law. The Clean Water Restoration Act of 1966 authorized the Secretary of the Interior to make a comprehensive study the effects of river pollution on wildlife throughout the United States. This entry was posted on June 18, 2013 by Fred Schrock. It was filed under Uncategorized .